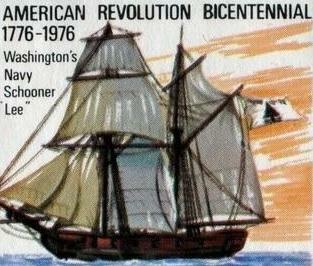 That same month, General George Washington, with the help of merchant ship owner Colonel John Glover of Marblehead, Massachusetts, chartered and outfitted several ships to interrupt the British supplies. 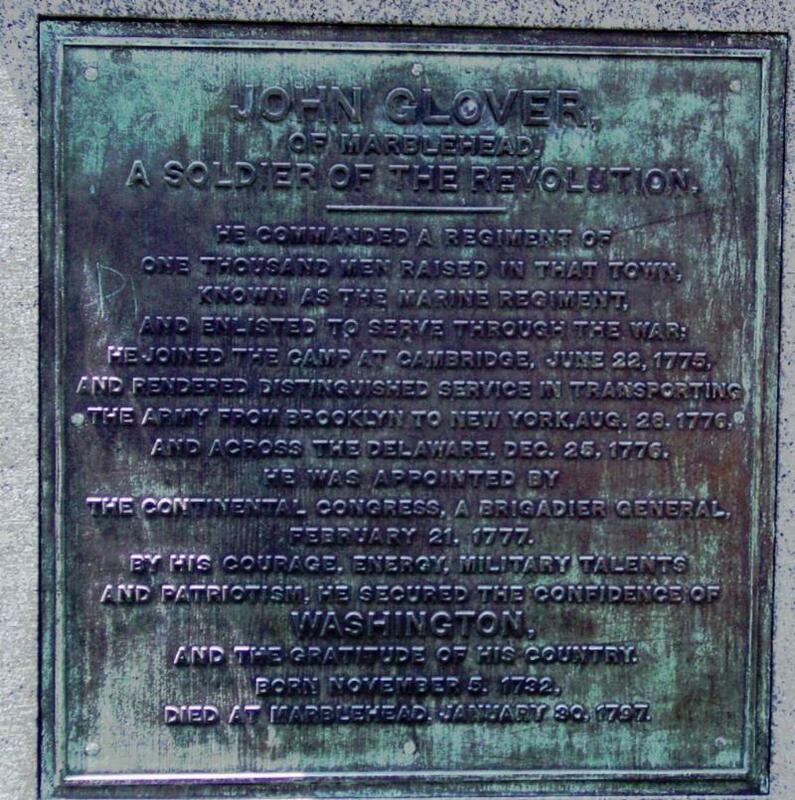 "John Glover of Marblehead - A Soldier of the Revolution. 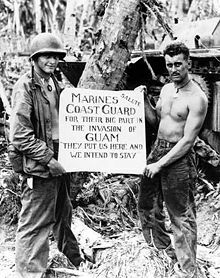 He commanded a regiment of one thousand men raised in that town known as the marine regiment, and enlisted to serve throughout the war. 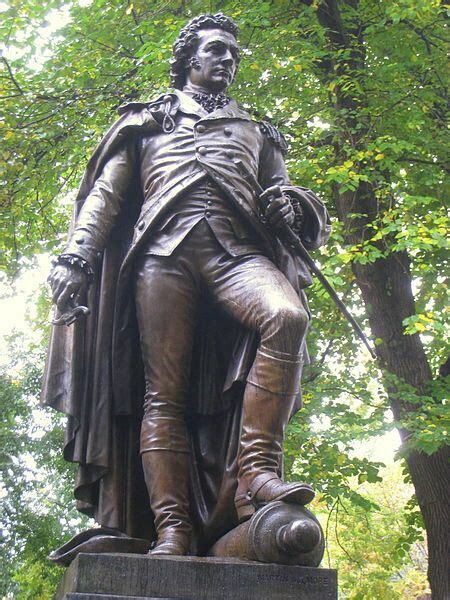 He joined the camp at Cambridge, June 22, 1775, and rendered distinguished service in transporting the army." 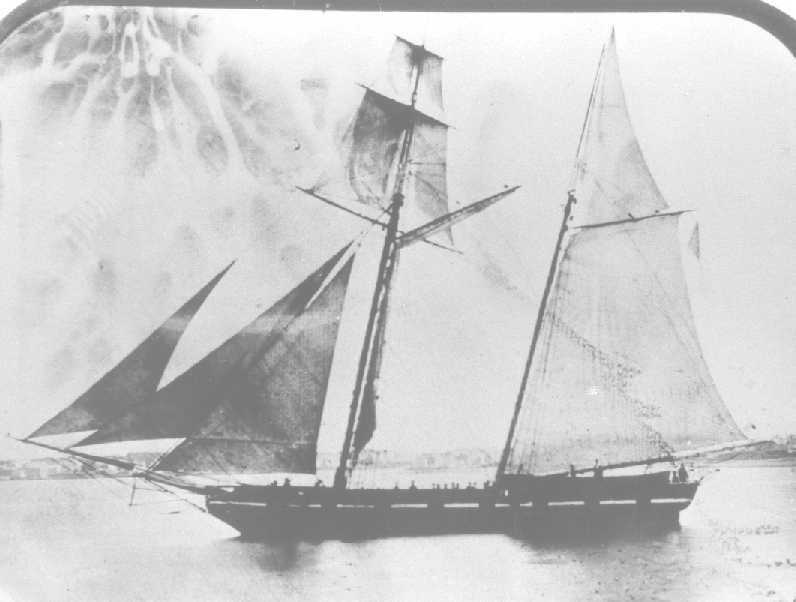 The first ships outfitted by Glover were named Hannah, Franklin, Warren, Hancock and Lee. 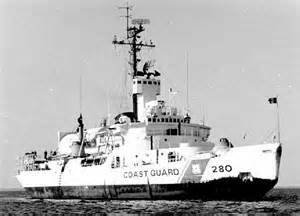 ﻿ They had crews of experienced fisherman who defended American ports and raided British ships carrying ammunition and supplies. 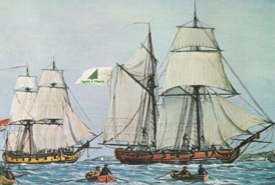 55 British ships were captured by this original American flotilla. 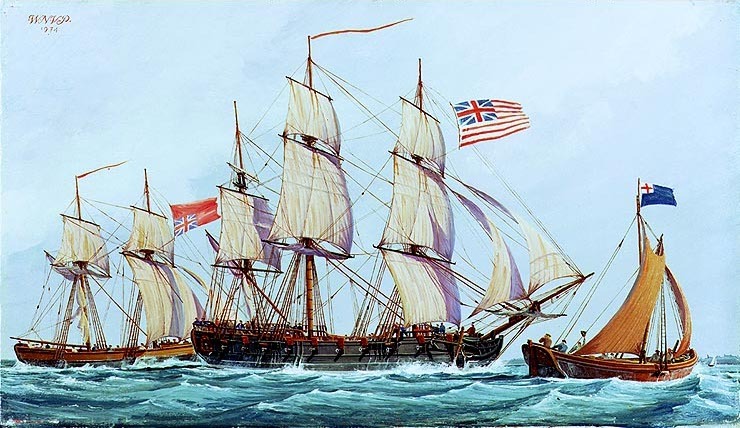 One of these was then the Lee captured the British brig HMS Nancy on November 29, 1775, with its cargo of 2,000 Brown Bess muskets, 100,000 flints, 30,000 of artillery ammunition, 30 tons of musket ammunition, and a 13 inch brass mortar. 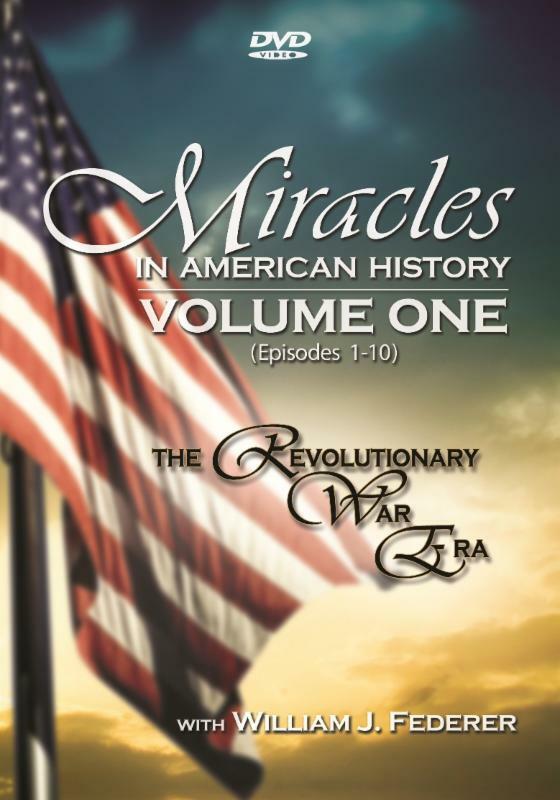 This was a tremendous benefit to the new Continental Army. 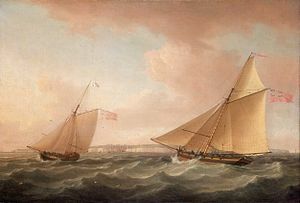 After the Battle of Brooklyn Heights, August 27, 1776, John Glover and his Marblehead fisherman saved the day by evacuating Washington and the entire Continental Army, under cover of fog, in their miraculous escape across the East River to Manhattan Island. 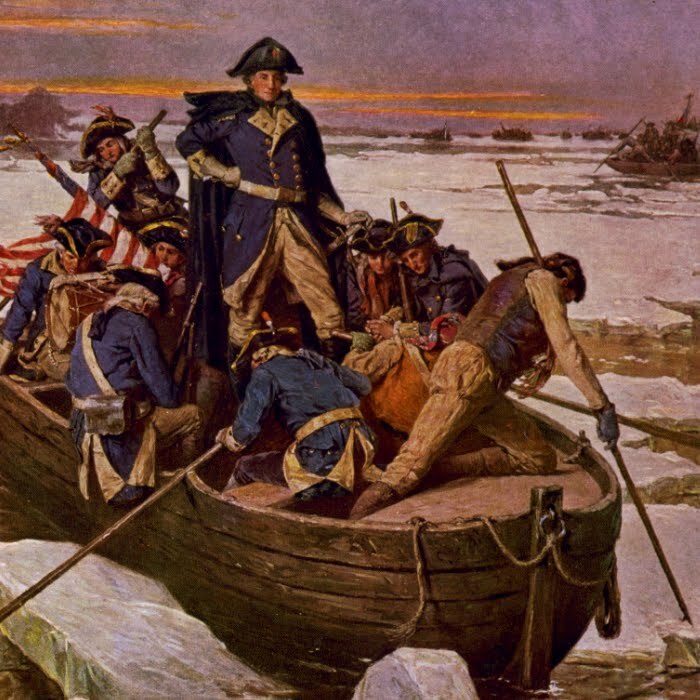 Glover's large Durham rowboats also ferried Washington and the Continental Army across the ice packed Delaware River for the surprise attack on the German Hessian troops at the Battle of Trenton, December 26, 1776. 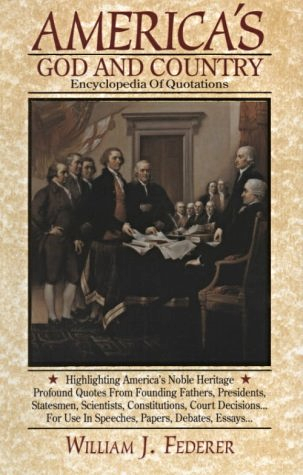 The Continental Congress, on December 22, 1775, had authorized a Continental Navy, consisting of five ships, the Alfred, Columbus, Andrew Doria, and Cabot. 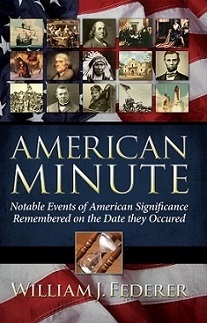 It was put under the command of Esek Hopkins, Esq., and four captains, Dudley Saltonstall, Abraham Whipple, Nicholas Biddle and John Burrows Hopkins. 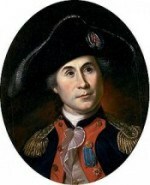 Congress also commissioned five first lieutenants, one of whom was the future naval hero, John Paul Jones. 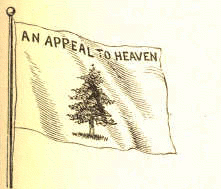 "... flag with a white ground and a tree in the middle, the motto AN APPEAL TO HEAVEN." 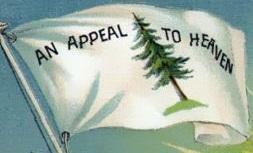 The Pine Tree Flag was also flown in towns, churches, riverbanks, and at the nation's capital in Philadelphia. 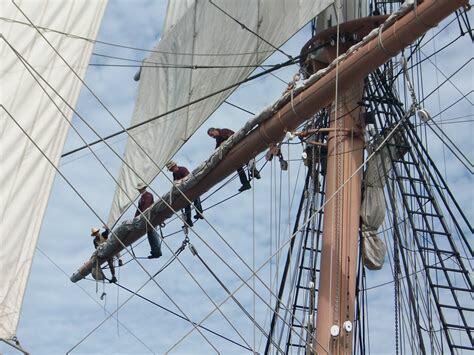 Eastern White Pine Trees grew to a height of over 150 feet and were ideal for use as masts on British ships. 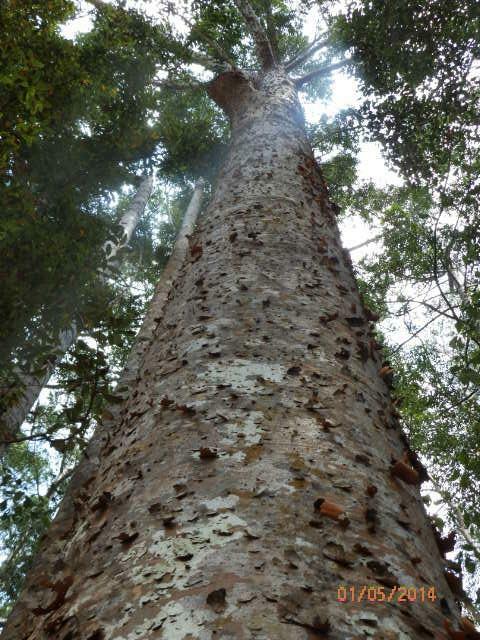 These pines contributed to the British navy becoming the most powerful navy in the world. In 1734, there was a Mast Tree Riot where men disguised as Indians chased away the King's forest surveyor. 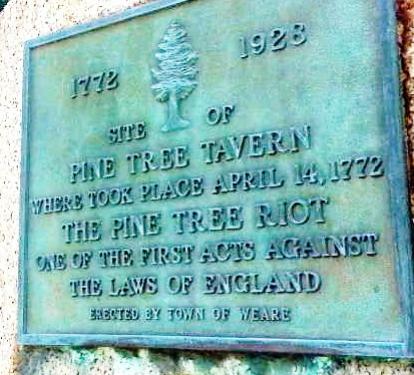 In 1772, New Hampshire had another show of resistance, the Pine Tree Riot. The King sent agents to enforce his claim to every tree in New England over 12 inches in diameter. 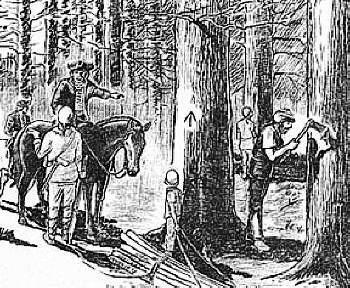 In 1772, when the sheriff came to South Weare, New Hampshire, to arrest those who had cut down some of King's trees, 30 men busted into the sheriff's room at the inn at night, with their faces blackened with soot in disguise, and beat the sheriff sore with switches made from pine branches. The men were later arrested and forced to pay a fine. It was a test of the King's authority and considered by some as the beginnings of the revolution. So in this ... he should appeal to the Supreme Judge." 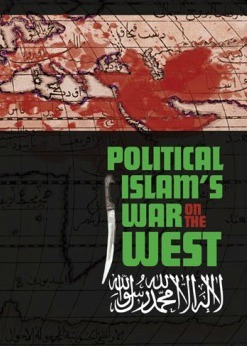 "An appeal to arms and to the God of hosts is all that is left us! ... We shall not fight our battles alone. 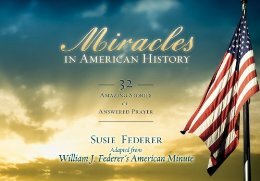 There is a just God who presides over the destinies of nations." 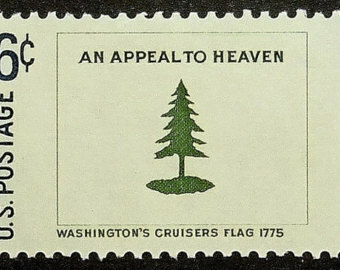 "Appealing to Heaven for the justice of our cause, we determine to die or be free." 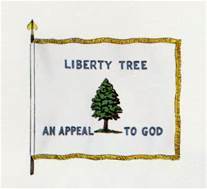 The Massachusetts Navy flew a similar Liberty Tree Flag, with the line "An Appeal to God." With an humble confidence in the mercies of the Supreme and Impartial Judge and Ruler of the Universe." 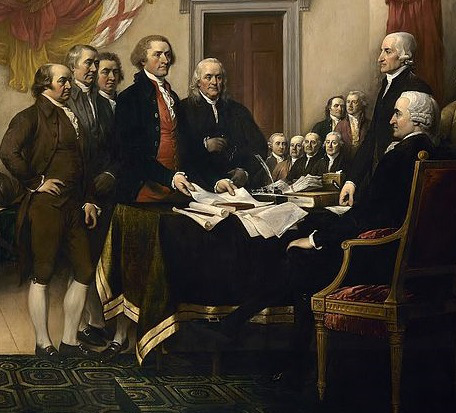 "We, therefore ... appealing to the Supreme Judge of the world for the rectitude of our intentions, do ... declare, That these United Colonies are, and of Right ought to be Free and Independent States." 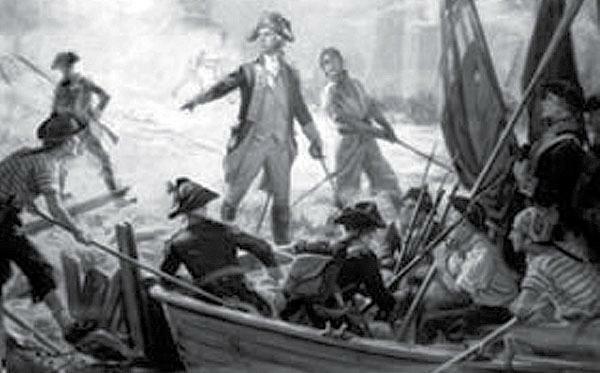 America's first navy grew to over 40 vessels, but was disbanded after the Revolutionary War . 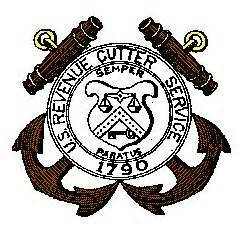 The Revenue Marine's first seven masters (captains) were commissioned by President George Washington on March 12, 1791. 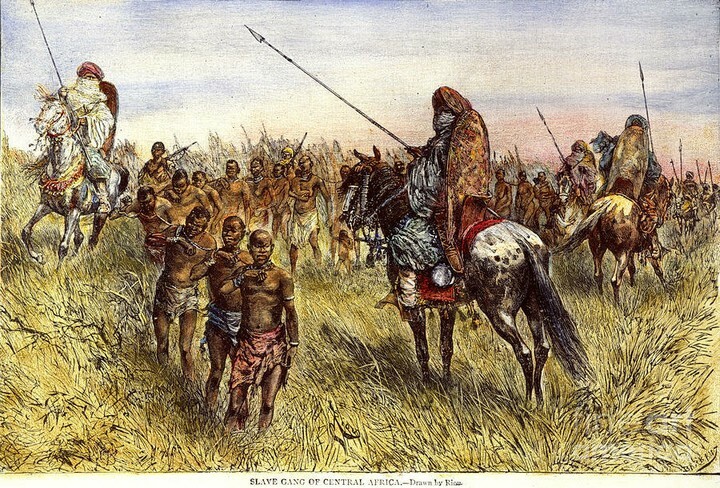 "We passed a slave woman shot or stabbed through the body and lying on the path ... an Arab who passed early that morning had done it in anger at losing the price he had given for her, because she was unable to walk any longer. 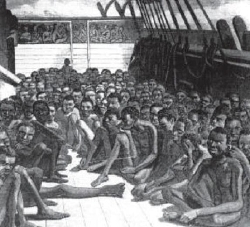 The strangest disease I have seen in this country seems really to be broken heartedness, and it attacks free men who have been captured and made slaves." 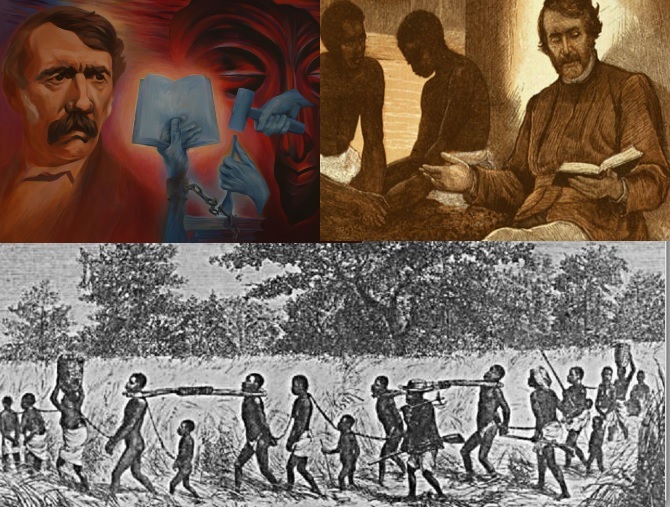 "If my disclosures regarding the terrible Ujijian slavery should lead to the suppression of the East Coast slave trade, I shall regard that as a greater matter by far than the discovery of all the Nile sources together." 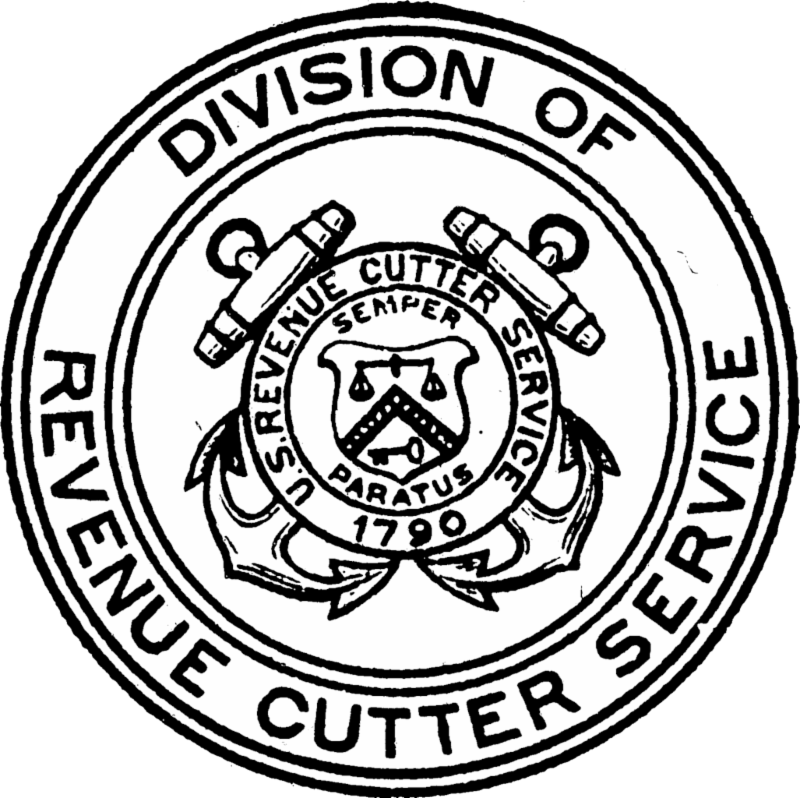 On January 1, 1808, exactly 55 years before Republican President Abraham Lincoln issued the Emancipation Proclamation, Congress closed all U.S. ports to the importation of slaves. 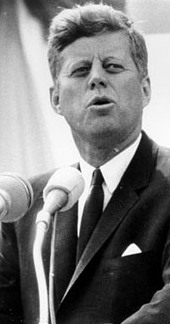 Ideals for which we've died." 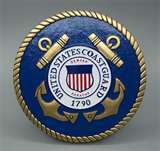 In 1939, the U.S. Lighthouse Service was merged into the U.S. Coast Guard, as was the Steamboat Inspection Service and Bureau of Navigatio n in 1946. 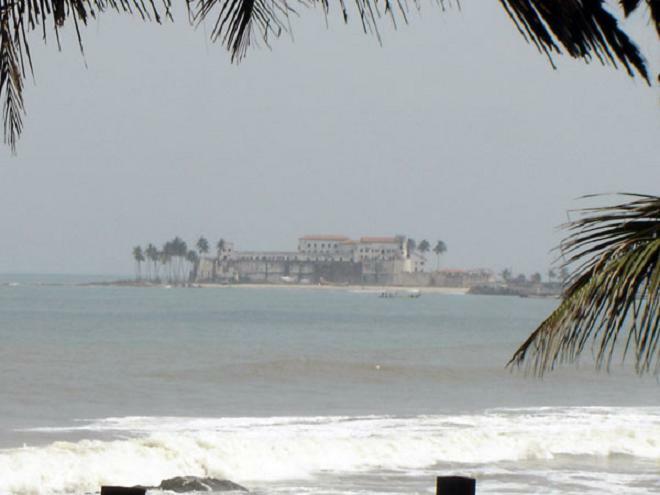 "This is a very ancient service in our country's history. ... 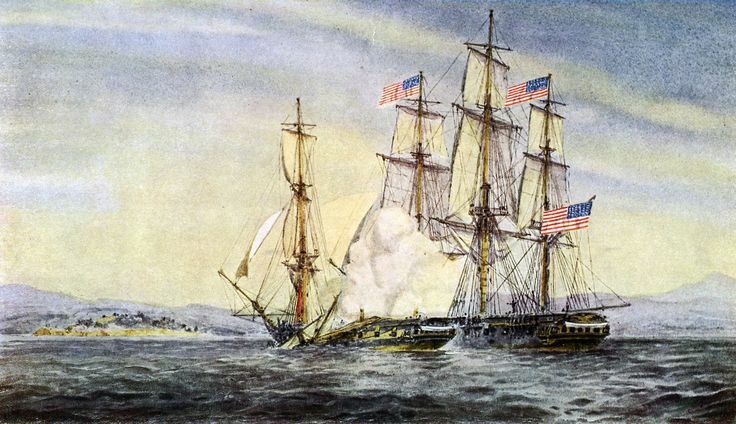 The first Eagle was one of our most distinguished warships, and in actions against privateers of France, captured over five vessels, and recaptured seven American vessels ..."
"This is the oldest continuous seagoing service in the United States, stretching back to the beginning of our country." 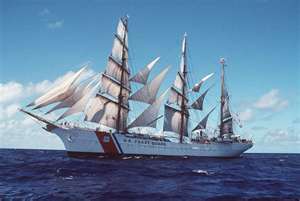 "A further proposal ... is the definite expansion of the Coast Guard ... in the matter of border patrol." 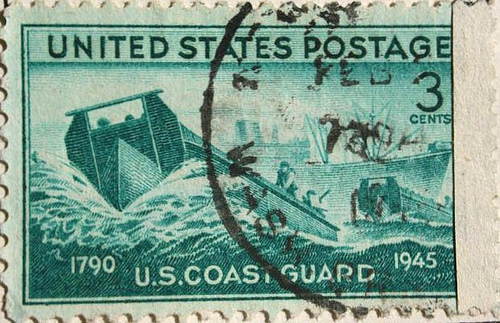 "Navy and Coast Guard losses were 4,729 killed and 4,640 wounded." 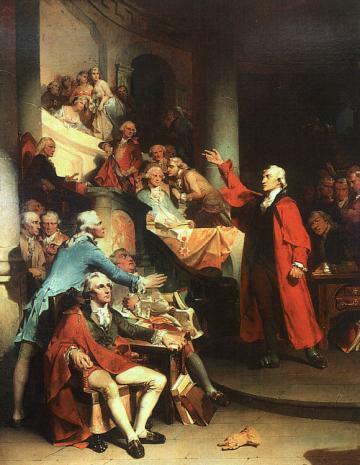 That, my young friends, is what makes this country great." 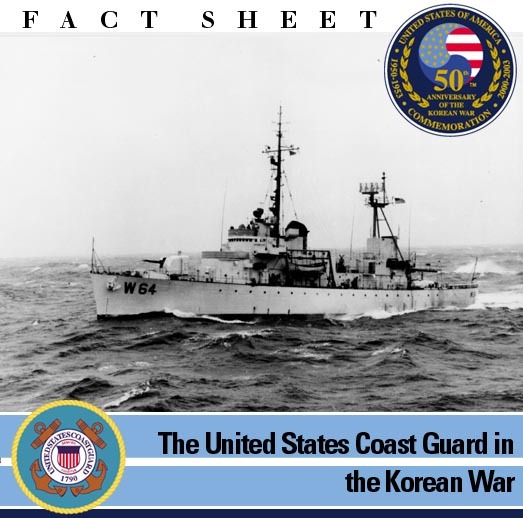 "You serve our country in peacetime, on ice patrols and weather patrols, in protecting the standards of the merchant marine, in protecting safety at sea ... and in time of war you, with the American Navy, as you did in World War II and at the time of Korea." It is stronger than the combined might of all the nations in the history of the world. And I confidently predict that strength will continue to grow ..."
"No one can live daily, as I must do, with the dark realities of nuclear ruin, without seeking the guidance of God to find the path of peace. 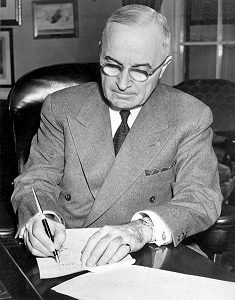 We have built this staggering strength not to destroy but to save, not to put an end to civilization but rather to try to put an end to conflict." 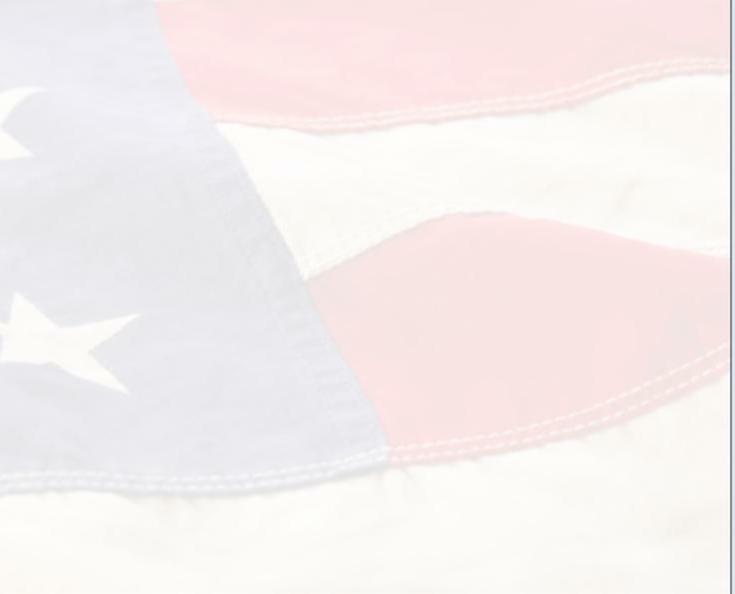 "It's our prayer to serve America in peace. 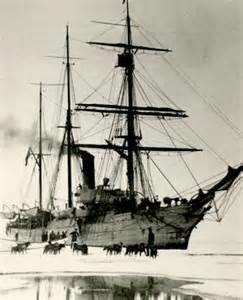 It's our commitment to defend her in war."